Mark Latshaw Joins Listen – Listen, Inc.
Email Subscriber * Yes - I would like to receive product news, audio test tips and event information by email. No - I don't want to receive the latest audio test information by email. 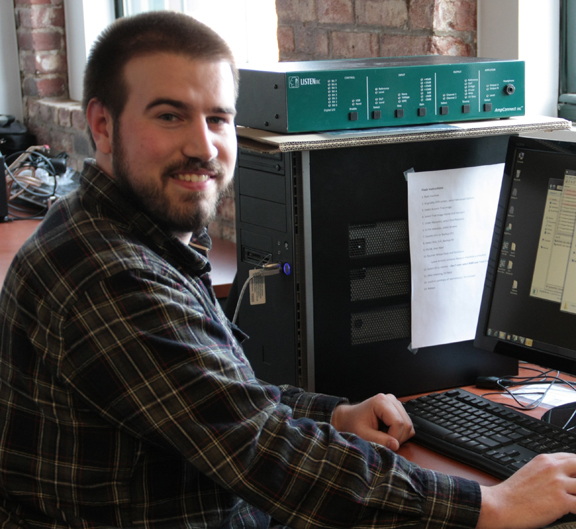 Listen has strengthened its support team with the addition of Mark Latshaw as Technical Support Engineer. Mark will work alongside Steve Tatarunis and Mark Dailey offering assistance and training to our customers worldwide. With a Bachelor’s degree in music and sound recording from UMass Lowell and previous experience in audio post-production, IT and file management, Mark brings a wealth of relevant experience to the team. Like his colleagues in the support team, Mark is a keen musician – in his spare time he enjoys playing bass.